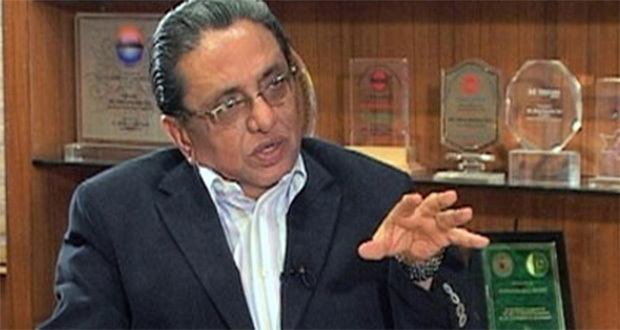 KARACHI: Businessmen Group (BMG) Chairman and former Karachi Chamber of Commerce and Industry (KCCI) president Siraj Kassam Teli has categorically stated that BMG would not participate in the forthcoming election of the Federation of Pakistan Chamber of Commerce and Industry (FPCCI) scheduled to be held on December 28, 2018, as FPCCI remains “infected by fake/bogus and paper-based trade associations/chambers” and continues to follow the same old policy of “hails to the presence”. Referring to KCCI’s election, he said that the opponents of Mian Anjum Nisar and his Businessmen Panel had hatched a conspiracy by contesting against BMG after 11 years but they faced a terrible defeat as the entire business and industrial community rejected them and voted for BMG which won the election by securing all 15 seats. “At that point, BMP came forward to support BMG in KCCI’s election and we are very thankful to them,” he added. Teli opined that due to the presence of fake, bogus and paper-based chambers/ trade associations, the actual and true representatives of business and industrial community have become totally voiceless at FPCCI, which is the basic reason why BMG and KCCI prefer to stay away from FPCCI’s election every year. FPCCI has lost its credibility as it remains busy in just flattering and pleasing the decisionmakers. 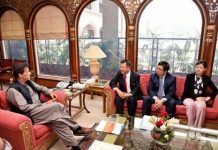 He further said that BMG and KCCI also have serious objections over FPCCI’s style of working as instead of highlighting the core national issues and giving recommendations on numerous policies at the federal level, the chamber is engaged in carrying out activities/ meetings which do not fall under its domain. “Such activities/ meetings are encroachments on the activities falling under the domain of chambers/ industrial associations/ All Pakistan Trade Associations etc. as FPCCI does not have any businessmen/ industrialists/ importers/ exporters as its members; it has only chambers and All Pakistan Trade Associations as members and not individual companies. Therefore they, as an institution, should take inputs about policy issues pertaining to budget, trade and economy from its member chambers and forward the same to the policymakers at the federal level and get them resolved,” he added.